Shopify store owners will agree that managing an e-store is not really a walk in the park. Online business owners must address areas of business to keep their sales flow stable. Therefore, Shopify makes the management of e-stores easier with close to 1500 apps available on its app store in different categories. To address these online eCommerce functions I have put together a list of the best Shopify apps for new e-store. Considering this is a best Shopify apps Reviews 2018″ countdown for newbies, I only mention best Shopify apps for sales, marketing, and social media. We have included the top paid apps and the top free apps in this list so you can enjoy the best of both worlds. There is a wide selection among the best Shopify apps for each business function. For ease of access I have placed apps in relevant categories and ranked them in accordance to user ratings. Let’s take a look at each category and see which ones are trending as the best Shopify apps. To make things even easier for Shopify store owners, I have sorted apps in paid & free categories too. Shopify offers a massive selection of full feature paid apps that can help you power up conversions and increase revenue. There is, however, a great variety of free apps that give you more or less the same functionality as the paid ones. The Shopify app store offers a superb selection of apps to increase conversions or sales on your e-store. However, not all have the same reliability and probability of success. Some lack functionality some compatibility, and some are just plain poor at everything. If you are running a Shopify store then you definitely want to boost your store’s sales and conversions, well, in that case, Sumo is the app for you. This app will boost your sales and increase the AOV (Average Order Value) on your Shopify store. The Sumo app lets Shopify store owners display a bar at the top of their stores which shows a discount or free shipping offer when customer spend over a certain amount (which you can set). This tactic helps to convert even browsers into buyers and also increases the cart value of all your orders. The app automatically updates the value as items are added to the customer’s carts, this way the customers see how much they need to spend to avail the deal displayed in the bar. You can give the Sumo app a try since it offers a free 14-day trial that you can use. Afterward, it costs $79 per month to use this awesome app. A superb cross-sell & upsell app from leading developer Beeketing, Boost Sales app is a must-have for any new or established e-store. The app is packed with 5 amazing features that encourage an increase in cart value or selection of higher value substitutes from buyers. Possibly one of the best Shopify apps to increase sales and a must have for store owners. The first of its two primary functions is the up-sell feature. This amazing feature displays higher value substitutes to buyers at checkout or while browsing. Furthermore, the cross-sell feature displays a pop-up with complimentary goods for the buyer’s cart selection. In addition, Boost Sales comprises of a Smart Recommendations feature that uses machine learning to evaluate buyer behavior and suggests products to up sell or cross sell. However, the pick of the lot is Boost Sales app’s Sales Motivator. Using ‘game technique’ the app encourages buyers to add more products to cart to reach a certain goal to get rewards. Finally, another brilliant feature is the Last Step Upsell that activates when a user clicks to checkout. Last Step Upsell recommends one last high value substitute based on the buyer’s behavior & cart items. As one of the best Shopify apps, Boost Sales has a 5 Star rating and excellent reviews to go through. You can trial the app for 15 days after which it costs $30 per month. It’s difficult to convince buyers to add products at checkout and has to be done quite cleverly. Frequently Bought Together (FBT) is a masterful up-sell app that does the same. You might have already seen this on Amazon, a popup opens up just as you are about to checkout from the website. FBT uses its clever mining algorithm to study previous purchases in the e-store database. FBT creates memory graphs using purchase trends to recommend products that are usually bought together. So, if I was to add a t-shirt on your e-store, FBT would recommend a cool pair of sneakers or a cap to me at check out. When buyers are browsing through a product page recommendations display in a pop-up or below the product as usually bought together. Products are automatically selected, but can be unchecked by the buyer. In case a catalogue has item variants, they can be displayed too. FBT can also be used to display upsell of compliments like chargers for phones, shampoo for carpets and so on. Frequently Bought Together comes with a free 14 days trial and can be subscribed to after. On a monthly rolling basis FBT costs $5.99/month, while a onetime yearly subscription will cost you as low as $4.99/month. Cart abandons are the biggest pain for an eCommerce store. 68% – 78% carts were left unpaid in 2016 according to Baymard Institute. But, the more useful fact here is that up to 35% of these abandon cart customers can be brought back to the e-store. Beautiful Abandoned Cart Emails (BACE) is meant to do exactly that. Immediately remind your buyers that their cart awaits them. Schedule tempting emails to send out at ideal times, add discount codes, and offers to get more cart recoveries. BACE is an automatic email reminder app that creates enticing and effective emails, when a buyer abandons their cart. The app offers full customization of emails including logos, images, subject lines, body text etc., plus, schedule your emails for the right time. BACE also adds an image of abandoned products automatically to make emails look professional. Another great aspect of BACE is that it requires no coding know-how, it also brilliant ease of use for beginners. Sellers can schedule follow up emails, send discount codes, and add buttons in emails for one click cart recovery. Currently available with a 14 days trial, Beautiful Abandoned Cart Emails costs a decent $9 per month, you can read more about it on the official website. Designed by popular developer BOLD, Sales Motivator is an excellent app for those who wish to increase cart value from existing buyers. Sales Motivator allows buyers to complete cart goals and receive amazing offers. These offers can include free gifts, discounts, coupons, free shipping, etc. to complete a certain cart value. Sales Motivator has proven cart value increases between 20% – 30% for various e-stores. The basic idea is to use game technique and bring your e-store experience to life. Several new updates to the premium version of Sales Motivator have simply made the app a must have for e-stores. A special motivator bar can be configured to appear either on top or bottom of the page to deliver goals & messages. Sellers can now schedule offers for specific days and times, in addition to free gifts automatically placed in buyer carts when a goal is achieved. The premium geo-targeting feature is another innovation, which displays offers to buyers from certain regions. You can trial Sales Motivator for 30 days and then the subscription begins. Pricing begins at $9.99 per month and goes as low as $4.99 per month depending on usage. Primarily Recart App is a marketing tool, plus, a cart recovery tool. Using its core features including Facebook Messenger Marketing, Emails, and Push Notifications the app recover buyers who have abandoned carts. Recart is not only one of the best Shopify apps for sales, but also a top Shopify app for marketing. Currently, Recart is available for a 28 days free trial after which you can subscribe for $29/month and go up depending on the sales you generate using the app. A creation of developer Swell-Rewards, Rewards & Referrals is designed for email capturing, rewards programs and referral systems. Encouraging repeat customers is a pain point for any eCommerce business owner. Increasing sales from you existing customers is tough, Rewards & Referrals makes it all easier. The best feature of Rewards & Referrals is that it’s free to use until your orders cross 100 per month. E-stores with more than 100 orders per month already can also evaluate the app free for 30 days. The developer also emphasizes that we grow when your e-store does. Rewards and Referrals is very easy to use and quite comprehensive with a proper console to manage all features. The one click wizard allows purchasing, referring, and creating a buyer account simply child’s play. Every feature offers customization including text, fonts, colors and even the themes. Additionally another excellent feature is its integration with Shopify POS allowing you to run reward programs both on the e-store, by e-mail, and on other websites. The app offers 10 reward programs templates and offer real time customization as per requirements. As one of the best Shopify apps, it is free to use with limited functions. Pricing plans listed above with different criteria that include premium features, you can select one that suits your requirements. A popular popup app to increase sales, Sales Pop is another amazing creation from developers Beeketing. Sales Pop is built on the concept of social proof,i.e. it displays notifications to buyers what other people are buying. This social proof motivates buyers to add items and view different products on an e-store. A brain child of developer Booster Apps, Discounted Upsell is one of few apps for up-sell discount offers. The app tends to offer upsell discounts to buyers purchasing in large quantities. One of the great aspects of the app is its ease of installation and use requiring no coding. The mobile & desktop optimized design encourages bulk purchases while influencing more visitor to convert. Another good aspect of Discounted Upsells that it integrates with all Shopify sales channels and inventory management apps. Discounted Upsells, however, has no live support only an FAQ section and email support. Developer Beeketing claims that over 55% of eCommerce sales came from mobile devices in 2016. Mobile Web Boost (MWB) from Beeketing aims to increase the chances of sales from mobile users. MWB does this by placing intuitive add-to cart buttons on either the top or bottom of mobile screens. The excellent aspect is that buyers get a full view of products with buttons available to buy any time. The bar type button can be placed on top or at the bottom, acting as a conversion driver. You can also demo the app on your mobile by following this link. Consistent Cart’s (CC) activity monitor is a brilliant free Shopify app from developer CarlsApps. Used by over 15000 e-stores, CC synchronizes user carts across multiple devices to ensure buyers can continue shopping from anywhere they go. The app actively monitors all active, and abandoned cart with the basic version while additional options are available with the premium version. The huge selection of free Shopify marketing apps available offer great help to new entrepreneurs. Marketing an e-store is probably the toughest, yet most important, task for any eCommerce store owner. The sheer variety of free Shopify apps for marketing ensures that your e-store remains prominent amongst digital masses. In addition to help build email lists, MailChimp app also works to keeping buyers on an e-store. Store owners can schedule campaigns, run different email tests, send out seasonal email offers, and manage all metrics from within the MailChimp app. Powered by a 4.5 star rating, MailChimp is free to use for upto 12,000 emails a month. Although when sending emails beyond the prescribed limit, the above pricing applies. MailChimp is an editor’s favorite and recipient of several digital awards. The high customization within Last Second Coupon app allows configuring pop-up templates so you can deliver a personal message to every buyer. The app also offers unlimited impressions, so you don’t pay more than what you have subscribed for. I found the app to be really easy to go around, a one click install and a very user friendly settings dashboard. Currently offered with a 14 days trial, the app costs a very lucrative $5.99 per month. Although not a 5 star app on Shopify it is still one of the better apps for exit intent popups. It’s also one of the best discount apps for Shopify. It’s always nice to have your buyers refer your e-store to their friends and family, generating a stream of buyers from existing ones. Incentivizing the referral process allows you to reward existing buyers, while they refer your e-store to others gaining discounts, free gifts, coupons, and more. Statistics inform us that no more than 29% buyers, recommend e-stores to their friends & family. This is primarily because they have no incentive to refer your services. Referral Candy brings such a solution to e-store owners to reward their buyers when they refer your e-store to friends & family. Referral Candy work by rewarding your existing buyers a coupon code that they can share with their friends. Buyers receive a referral reward or free gift, when their referrals use these coupon codes. So, the app allows everyone to win, with one party getting a discount and the other getting a free gift. You can see the Referral Candy app at work in real time too. Available with a 30 days trial, and powered by its 5 star rating on Shopify apps, Referral Candy is available to subscribe to for $49 per month after the trial. An excellent support center makes the help center the ideal place for solutions, for the current 3000+ e-stores that use Referral Candy. Kit is exclusively available for Shopify e-stores and offers a mix of marketing features. These features include Instagram and Facebook ads, email marketing, and social posting. Kit allows you to concentrate on other areas of your marketing strategy while its automated system manages your paid advertising. Designed by the developer of the same name, GrooveJar has been created to turn more visitors into customers. GrooveJar is one of the best marketing apps that offer appealing pop-ups and inspiring emails. All of GrooveJar’s features have been based around behavioral psychology to influence buyers at the right time. Groove Urgency the pop up features uses the psychology of urgency to encourage buyers to add items. Also it entices to join mailing lists, while it claims increase in conversions up to 20%. GrooveJar provides complete customization and the freedom to manage your own text, colors, and pop-up frequency. Similarly, Collect & Convert is GrooveJar’s email campaign feature, which collects buyer emails from all over the website. Campaigns are then generated automatically to market offers and encourage return buyers. Again you can customize emails by editing text, tone, event messages and appeal as per requirements. The excellent aspect is that GrooveJar is free to use and they add new features every now and then. While the popup and email marketing tools are free to use, you can also get GrooveJar’s complete app features with the $39 per month subscription. The GrooveJar app is currently rated 5 Stars from some 550 reviews. Simple Push is the creation of developer Streamline Apps and like its name suggests it’s a push notification marketing app. But, Simple Push is not just a pop-up notification app, it offers the additional benefits of Facebook Messenger notifications and exit intent pop-ups. E-store owners will agree, cart abandons are a real pain for any eCommerce business. Simple Push automatically generates notifications to abandoning buyers, without asking for emails. The interesting feature of Simple Push is that it uses FB login to send out reminder emails to buyers on FB Messenger. This saves the hassle of collecting emails and keeps the user connected through the social channel. Simple Push enables notifications on cart abandon from buyer or sent out later at the appropriate time. Exit Intent Pop-ups, are also a great feature to entice buyers to stay and complete their purchases. The pop-up opens in case a buyer is leaving their cart, displaying a decent discount or offer. In addition to notification, Simple Push creates a link for buyers abandoned carts allowing them to instantly return to their checkout. A decent app for those only looking for simple customization of push notifications with FB Messenger functionality. Simple Push has 5 Stars ratings with some excellent reviews. Store owners can trial Simple Push for 30 days, or choose from pricing plans in the table above. There is something really to love about developer Softpulse Infotech’s, WhatsApp Share. As simple as it sounds it allows sharing your products, collections and content directly to WhatsApp. The best aspect of this app is that it makes your buyers/visitors your promoters. WhatsApp Share encourages your subscribers to share your messages, automatically increasing conversions from mobile users. You can land visitors to Instagram, Facebook or directly to your e-store. One the app’s top features is embedding a WhatsApp share button to every product page on your e-store. The best aspect of the app, it’s completely free and requires no payments till now. WhatsApp Share is available on Shopify apps with a 4.5 Star rating and is free perpetually. I can clearly call this one of my recommended apps for any Shopify store. The app is rated 5 out of 5 stars in free Shopify apps for marketing with a resounding 1065 reviews. Product Reviews add-on, from developer Stamped.io, is an email marketing & review app. Since e-stores lack the advantages of a brick-n-mortar business, it is necessary empower your product pages with trustworthy, reliable and inspiring product reviews. Product Reviews Add-On accomplishes this with utmost ease using its automated review emails. The app also gives customers the ability to reach out in case of issues, while offering real time reviews of their purchase with evidence. Some e-stores never seem to cut through the competition. Such eCommerce businesses are created easily, but, no matter how much effort is put into marketing they close down. Trust Hero from developer Booster Apps, is a brilliant idea to instill reliability while raising awareness about different features. Trust Hero builds trust in buyers’ minds by placing trust icons for customers on product pages. This feature, also known as comfort content among digital marketers, is essential to create trust between your customer and the e-store. Trust icons can include those for secure payment, premium shipping, secured gateway, encrypted forms, and many others. Apart from building trust, Trust Hero offers great functionality and compatibility. Not only is it a ‘one click’ install, the app also features wide customization of using different trust buttons and text. Buttons & text can be fully tailored to fit your theme, in addition, the app adapts to mobile, tablet, and PC screens automatically. Developer JustUNO’s ‘Free Pop Ups & Conversion Marketing Platform’, is an optimization app for e-stores. Conversion Marketing Platform uses multiple techniques including pop ups, exit intent messages, cart abandon offers, bulk coupons, banners, contests, etc. to motivate customers to complete purchases. A/B testing of different marketing campaigns. ‘Free Pop Ups & Conversion Marketing Platform’ is currently rated 5 out of 5 stars from 851 reviews. The great thing about social apps is that even a paid one offers only one function, or feature you can use. Therefore, it is also recommended to try out the variety of free Shopify social media apps since they basically offer the same functionality for no cost. I browsed through a selection of 20 apps and come up with the following as my best free Shopify apps for social media. Named after the developer, Outfy is a social media scheduling and outreach app. Outfy allows sellers to publish new products and deals to over 10 social networks from one app. It also allows scheduling social marketing posts on a daily, weekly and monthly basis. Although a good app, but very expensive in the long run. You can trial Outfy for 7 days free, after that each share costs 25 cents, but may go up depending on your sales. It is one of the best Shopify apps to carry when your store is just starting out, since it can allow you to reach a huge market to cater to. I also wanted to include an honorary mention for the Social Login app available on Shopify. Checkout Boost promises conversions increases of up to 25% plus also offers a mix of innovative tools to increase sales. Primarily Checkout Boost offers its social sharing and login feature. This allows visitors to sign up through their social networking accounts. In addition, Checkout Boost offers a superb mix of tools including Exit-intent, Countdown timer, Post-purchase Upsell, and BOGO offers. You can show pop-ups when a buyer is exiting, or upsell pop-ups to increase sales. Then there is the really amazing countdown timer to create urgency on product pages. Sellers can use Buy One Get One free offers built into the app. You can place discounts, special offers and bundles instantly with Checkout Boost to encourage more sales. One of the best Shopify social media apps to carry for a very nominal $20 per month. You can also trial the app free for 15 days before making a payment. Snapppt’s Instagram Shop is one of the most picturesque e-store apps available. The app primarily turns your e-store into an Instagram feed displaying all products in an Instagram feed style shop. The best aspect of Snapppt, the developer of the app, is that they are officially recognized by Instagram. This gives their apps better functionality, stability and integration of different Instagram features. As the developer establishes, 65% of Instagram users discover new brands and products through their feeds. Having your e-store powered by an Instagram feed increases chances of being noticed and drive regular traffic to it. Shopify Instagram app is a brilliant multi-function app allowing great versatility for sellers. One of these is the ability to easily embed galleries & carousels automatically, increase conversion rate, mobile optimized e-store, plus auto sales & engagement tracking. The app is free to use and can be downloaded instantly from the Shopify app store. Currently trending with close to 500 reviews the app still boasts a 5 Star ranking. DO remember that although its one of the best Shopify apps with great rating & reviews, its not meant for all product types and niches. You can, however, try out 10 amazing free Shopify social media apps available from developer ZotaBox. Currently, Social Sharing Buttons app is rated 5 out of 5 on Shopify. Collecting reviews and testimonials from email is easy given your customer is satisfied. Picking out the right ones from social media networks can be a daunting task. KudoBuzz Testimonials and Reviews does exactly that. Testimonials and Reviews imports real-time user reviews from social networks including Facebook, Twitter, Instagram, Yelp and Google+ to your product pages. This provides social proof of your products and delivery services as assurance and builds trust with the buyer. Another great feature that you get with the app is the automatic emails sent out after every purchase. This is also a great technique to get instant review upon order fulfillment and delivery. This allows the buyer to review your services and products when the experience is fresh. Finally, Testimonials & Reviews also offers Google Rich Snippets in Google searches. The snippet offers real-time ratings, prices etc. for your products. This has proven to drive buyers to product pages when they see review counts and star ratings in Google search results. Search Engine Optimization is one of the most important aspects of ecommerce. You can’t just start an online business and pray for customers to stumble upon your store. You need to work on your online store’s SEO to make sure that it pops up in search engine queries when people search for relevant keywords. Shopify provides you with a plethora of different Shopify SEO apps that make it very easy for you to manage your store’s SEO and further optimize it for Google and other search engines. Images are an integral part of SEO. Search engine optimized images are great for showing up in the top results on Google and other search engines. However, manually optimizing each image on your ecommerce store can be very time consuming and difficult. This is where the SEO Image Optimizer comes into play. This amazing Shopify SEO app does all the work for you with just a single click. You don’t need to optimize each image individually because once you set this app up on your Shopify store, it optimizes all your images and keeps doing it for all future images automatically. As you can in the image above, the app automatically adds alt-text to your product images. This helps the search engine find the images for these specific keywords and show them to people who are searching for these specific products in the image search engine. SEO Image Optimizer is a free app available for Shopify that you can use right now and you don’t have to risk any investment either. SEO Doctor is exactly what the name suggests. It’s a doctor for your ecommerce store that diagnoses your store for any SEO related irregularities and errors so you can fix them yourself or have someone fix them for you. SEO doctor audits your eCommerce store’s SEO practices to see what problems there are in your search engine optimization. SEO Doctor is available for free, but the free version only offers a limited SEO auditing and fixing; however, the paid subscriptions for this amazing SEO app provide you with extra functionality to take care of all SEO-related problems on your ecommerce store. The first paid plan costs $14.99/month and lets you diagnose all the SEO problems on your store so you can manually fix them. The full paid plan costs $24.99/month and fixes all your SEO-related problems automatically without you having to lift a finger. Probably one of the essential apps that every beginner & intermediately skilled e-store owner should have. Smart SEO is a complete SEO improvement and monitoring app designed to ensure your e-store pages rank well above the competition. As its primary function, SmartSEO automatically generates Meta titles & descriptions, and alt- text for images using its brilliant SEO algorithm. Smart SEO also helps cut down SEO optimization time by almost 80%. In addition, it provides structured data analytics to search engines via JSON-LD to enhance your e-stores search ranking. Currently, SmartSEO ranks a superb 5 stars out of 5 on Shopify apps. The developers offer 7 days free trial after which the app costs a superb $4.99/ month. SEO Meta Manager is a simple to use app. It allows you to take control of how search engines see your ecommerce store and provides you with real-time feedback about your search engine optimization strategies. The app gives its users a step-by-step tour that guides you through all of this exciting app’s features. The Shopify app developers also provide comprehensive help guides and resources to further your understanding of basic and advanced SEO techniques. So, you get access to the best practices developed by leading Shopify SEO experts right at your fingertips with this amazing app. The app costs $20/month but also offers a 7-day free trial so you can give it a try first to see if this is the app for you or not. I hope you enjoyed my countdown of the best Shopify apps for marketing, social media integration, and, sales & conversion improvement. Do remember that once free trials end most apps will require a subscription. I will also be publishing a new article about ‘how much Shopify costs’, so do come back for that amazing piece. If you liked the countdown, remember to share this article. For feedback, ideas and queries drop me a message in the section below. Until next time, see you again soon! 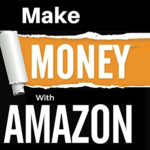 Shopify Vs Amazon – Where to sell your products? As a beginner, it is often intimidating to pick the best apps for your Shopify store. I hope this blog will help many novice sellers to boost their sales and enjoy great ROIs. Almost all the apps mentioned here are a great help for an e-commerce store. Can anyone give me a few suggestions on a free or cheap Timer countdown app for products on Shopify? Looking to keep my fees low. Can’t find anything that is available free of charge, but I’m open to inexpensive services. You might want to consider using “Checkout Boost”. It offers a superb mix of tools including BOGO Offers, Post-Purchase Upsell, Countdown Timer and Exit-Intent. If this doesn’t seem impressive, you can opt for ZotaBox, which is a popular marketing tool. It comes equipped with stylish popups, promo bars, social buttons, and more. At the same time, it even provides users with an email capture bar, social coupon bar, store locator, and the Countdown Timer you are searching for. If you want the most value for your money, try using Hurrify. This customizable countdown timer activates as soon as a customer visits your page. Upon counting down to 0, it then restarts again – displaying a sense of urgency by using phrases like “Hurry! Sale Ends in”, “Get a Discount!” etc.